As I enter my second year of ministry in the Office of Bishop I give thanks to God that I now have both my missional team and support staff in place and healthy. There will be additional changes to come, but none so drastic as in the first year. From a staff perspective, we can now focus on growing into the ministry together, expanding and implementing our vision for the synod, some of which has already been undertaken. I want to share this message with as many people as possible, so you will read or hear the words in this letter repeated elsewhere and often over the next few weeks with slight to moderate modifications. Although the “new bishop” tag comes off in September, I am still on a learning curve. Veteran bishops have cautioned me that it takes two to three years to learn the multifaceted aspects of the office. But I feel I have enough experience under my belt that, with the help of God, we as a team can forge ahead with confidence and meet whatever unexpected challenges unquestionably lie ahead. I believe in the power of language. Thus you may notice that, instead of the word “staff”, the term “team” will become more prominent in my language. As small a group as we have, I feel team promotes more a sense of togetherness. I will also refer the clergy among us as the “missional” or “ministerial” team. My aim is to create an even more hopeful and faithful culture in the ways we talk about and approach our ministry together. You will also often hear me use the word “reformulating”. How we describe situations often enhances the attitude with which we approach them. 1. RELATIONSHIPS – We continue to visit congregations and make progress toward the strengthening of those frayed relationships. The power of presence is formidable. I believe it was comedian Woody Allen who once said, “80 per cent of success is showing up.” Continue to invite me. Whenever possible I or one of my team will be there. We also have become more consistent in our electronic communication with our E-news going out every Wednesday. I maintain a presence on social media and write a blog post (http://www.pastorallende.com) on a regular basis. The newly redesigned synod website is almost ready to launch. It needs a couple of tweaks and should be ready to go in September. 2. WORSHIP – In the upcoming year we wish to be intentional about renewing and reviving worship in our synod. To that end we will make worship the center focus of the 2016 synod assembly. 3. LAY EDUCATION – The Rev. Gordon Straw, Director of Lay Academies for the ELCA, spent Tuesday, September 1, with a group of interested clergy and lay people who will develop a mission and curriculum for our lay academy. We hope to begin with at least one class in January of 2016. 4. YOUTH – I came away from the ELCA Youth Gathering inspired by the energy of the 30,000 youth in attendance. I intend to make youth the focus of our January synod council meeting. With the help of our synod youth coordinators I will invite several youth to attend our council meeting, share their experiences of the gathering, and have them suggest to us how we can involve them more in our decisions as a church. This is not a condescending or patronizing gesture. I sincerely feel our young people need a voice. 5. AFRICAN DESCENT MINISTRY – In the year ahead, we will pick up from where we left off in December of 2014, just before Pastor Jacob’s illness. Almost all our African Descent congregations have been evaluated. 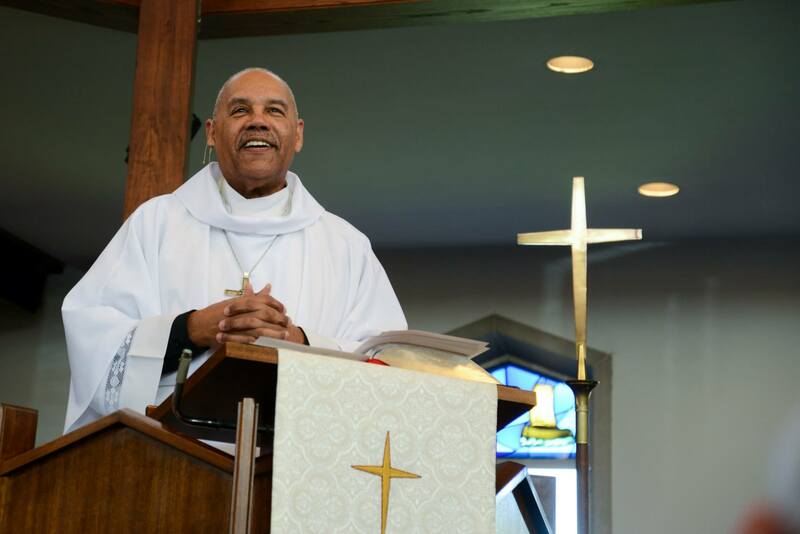 This process will be completed and honest conversation will be had about the future of congregations toward a healthier, sustainable plan for African Descent members of our synod. 6. STEWARDSHIP – In recent months through engaging some congregations in the “Consecration Sunday” and other stewardship resource-sharing, our Resource Center Director, Karen Kaufman, and Pastor Jacob, our Director for Evangelical Mission (DEM), are developing a new Stewardship Team. The Stewardship Team will develop a longer term plan, but for now we intend to make sure we maintain deeper relationships with the healthy giving-churches as identified by our annual Mission Support Statement. 7. MISSION – New and Renewing Congregations’ leadership have begun to meet quarterly for support and resource sharing. A Mission Strategy Team/Table will be revived in the coming year. The Journey forward process has started many shared-ministry and collaborative relationships. The Mission Strategy Team will build on that as we move ahead. The newly developing Shared Ministries Team may become an integral part of that Strategy Team. There will be an intentional focus on the rural and small town mission-field. 8. THE ROLE OF SYNOD COUNCIL – In March, we began small group discussions among current Synod Council members to involve them in the process of visioning what God is calling us to in Northeastern Ohio and how council can be a key participant in that discernment process. This is an ongoing discussion that is continually evolving. S12.01.12: The bishop shall appoint a member of the ordained clergy in each conference as conference dean. The dean shall organize the conference rostered persons, and act as the representative of the bishop in the conference. Specific duties of the deans shall be determined by the bishop and mutually agreed, with general guidance and approval by the synod council. Again, this new relationship between bishop, dean and synod will undergo several permutations as we grow into it together. 10. CAMPUS MINISTRY – At present we are still working on an action plan. The fact that it is listed last does not diminish in any way, the importance I attach to it. As I enter this second year, I ask your prayers that God’s will be done in our synod and that together, we may glorify God in everything we say and do in Northeastern Ohio. Nicely state Bishop. Blessings as you begin your second year. Gracias, Sister Alicia. I pray all is well with you. You are so blessed to have found your purpose. So proud of you. Thank you, Darlene! God has been and continues to be good. God bless you in your second year as he has blessed during your first year. Formidable goals-We will be praying. Thank you, Donna! Pray also that they are in keeping with God’s will. May the Lord continue to order your steps, as you faithfully lead God’s people.